Due to the poor health of Lithuania's last Chief Rabbi, Rav Avraham Shapiro, and due to his death in 1943, many of the residents of Kovno Ghetto addressed their questions to Rav Shapiro's student, Rav Ephraim Oshry. After the Shoah, Rav Oshry returned to the ghetto and retrieved the copious texts that he had written, all of which he had buried in jars. He published the bulk of them in New York in 1959, under the title שאלות ותשובות ממעמקים (Responsa from the Depths). An abridged version exists in Hebrew and also in English, the latter being titled "Responsa from the Holocaust", but neither of these versions contains the halakhic argumentation that makes of the original a text worthy of being studied (rather than just one designed to elicit an emotional response). The volumes published in 1959 are all available at HebrewBooks.org, but I cannot bear to read literature from a computer screen and the cost of privately publishing them is prohibitive. 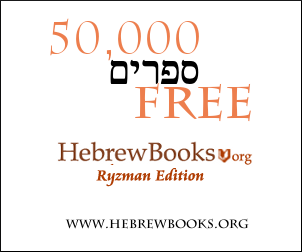 Does anybody know if the original Hebrew texts are available for purchase? My searches have yet to reveal any promising leads. Rabbi Ephraim Oshry's son is the Rov in a shul in my neighborhood. He told me a short time ago that the family was working on republishing his father's works. I don't know what the schedule is but I assume you can contact him directly to find out. The shul is Khal Beth Avrohom on East 17th Street in Brooklyn. Not the answer you're looking for? Browse other questions tagged product-recommendation jewish-books holocaust-shoah responsa . Any books like 'The Light of Ephraim'?